Quantity means next to nothing if we don’t first consider quality. b) A capsule containing 500 mgs of vitamin C? Conventional wisdom would have us choose the latter. 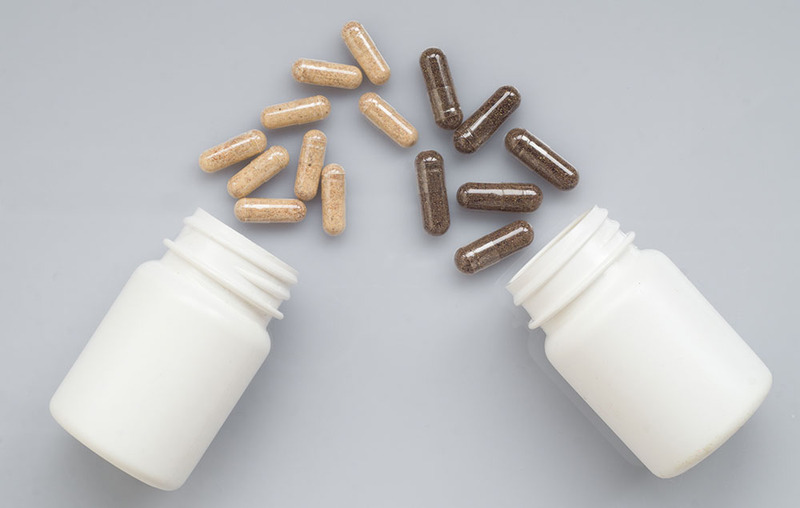 But beyond the fact that more does not always equate to better, now consider that the 500 mg capsule is loaded with fillers and mixers to enhance its shelf-life which, as a side effect, decrease its bioavailability (the amount your body can readily absorb and use) to about 1%, or 5mg. And consider that option a) is extremely fresh and high quality, giving it a bioavailability of 100% and exposing you to its full 100 mg potential. Care to change your answer? The point here is that we don’t want to neglect quantities of nutrients that our bodies need, but if quantity is king, then quality should be emperor. In fact, the role of quality goes far beyond simply determining how much of a thing can absorb into the body but also dictates what effect it will have on your health. Whatsmore is that quality is not limited to the things we ingest and goes on to include everything we put in or on our bodies. Our creams, beauty products, face washes, soaps and sunscreens – all have a certain quality which impacts our health. If quantity is king, quality should be emperor. The bottom line is this. You cannot achieve high quality health by exposing yourself to low quality products. The practice of assessing quality dates back thousands of years at least, to traditional Chinese medicine as well as Ayurvedic practices. *If you’re interested to learn more, you can read up on details and historical and scientific accounts to your heart’s content by choosing from our library. The short of it is that it has long been discovered, and is now scientifically proven, that the quality of our food, water, medicines, and products, have a direct and measurable impact on our physiology and health. At Innovative Medicine, we have studied most of the ways that quality can be measured, from advanced computerized systems to kinesiology / muscle testing, and have selected the use of the Lecher Antenna as the main scientific instrument to determine quality for its well regarded accuracy and verifiable results. A simple and ingenious device, the Lecher instrument (which was invented by Austrian physicist, Ernst Lecher, giving it its name) operates on the principle of resonance. Resonance is a widely known scientific law of physics which states that everything we perceive as matter, including solid food, supplements and other products, is comprised of fields of energy which at the quantum or very tiny level, vibrate at specific frequencies. Einstein later popularized this notion with his famous equation, E=MC2. But, the major discovery actually came thousands of years prior to Einstein when eastern medical practitioners observed the impacts these subtle energy fields can have on the human body. Now, Ernst Lecher’s contribution offers a reliable method of measuring these fields with a calibrated scale. In turn, we have the amazing ability to test products before using them and determine with certainty how positive or negative their impact will be on the human body. The ability to qualitatively analyze a product is a game-changer. There’s no more guessing as to what is high quality and what is not. Here’s how it works: Much the same way that a musical tuning fork will vibrate and make a sound when a sound-wave of the same frequency is introduced (for standard tuning forks, an “A” note), the Lecher instrument will responds based on the same principle of resonance, but to higher vibrational frequencies. And it indicates its operator, not by sound, but movement. Furthermore, using this same analogy, the Lecher is like an adjustable tuning fork that can tune into a range of specific frequencies, each of which has its own qualitative meaning (refer to list below). This enables us to take precise measurements to find out, not only whether a product is good for you, but also how good and what type of physiologic impact it will have. With this information in hand, you are equipped to make decisions you can be sure are in your best health interest. 17.6 is a calibration on the scale of the Lecher instruments, associated with products whose energy field (and therefore qualitative health impact) is radiating, restorative and optimally regenerating. Based on the law of resonance, when any item that contains this quality or field comes in range of the Lecher’s detection, the instrument will signify its operator by resonating and moving in confirmation. *1.1 = perfectly balanced and strongly regenerative. Despite appearing as low number on the calibrated scale, this frequency is rare to detect in most products and is associated with extremely strong regenerative benefits. With this knowledge in hand, we are proud to bring you an ongoing list of high quality, 17.6 bearing products ranging in type form supplements to sunscreens and everything in between. On behalf of the team at Innovative Medicine, we hope you benefit from this one-of-a-kind information. We’ve done the work of testing a wide array of lifestyle and health products and made it easy to know which ones are healthy for you. If you wish to submit a recommendation for a product you’d like to see tested, please use this form. Please include as much detail on the product or item you are recommending to test, including the full name, website to purchase, and any descriptive specifications.